There is nothing I love more than great seafood, but living in the middle of the map makes finding it a bit tricky! 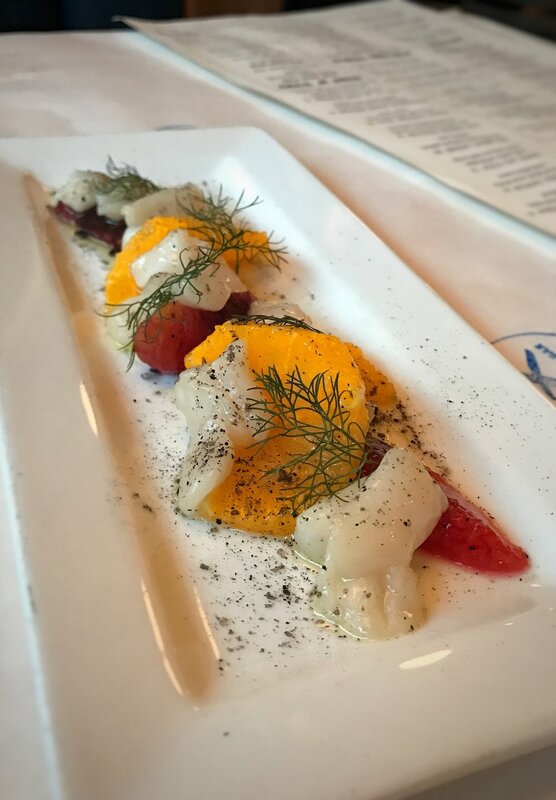 Lucky for me (and you), Jax Fish house brings the coast to Kansas City. 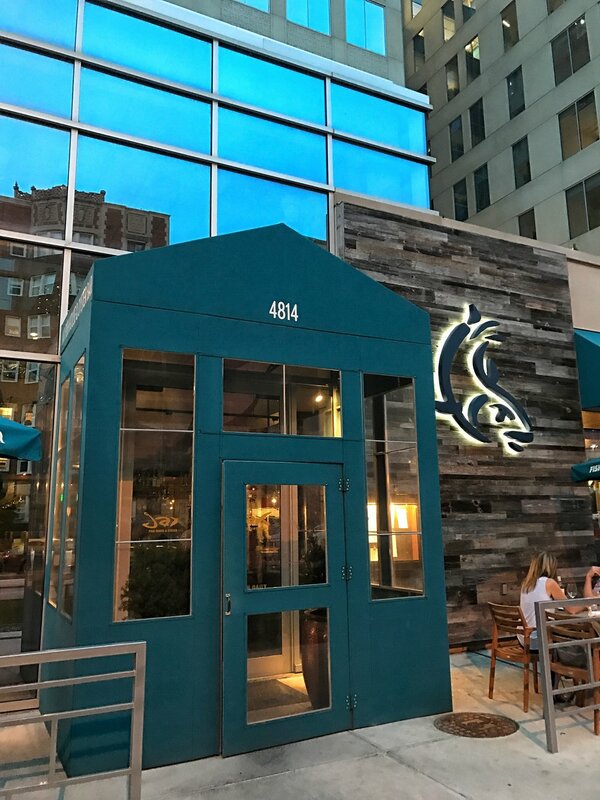 With oysters, clams, crab, and lobster flown in daily, you get the feeling of being within walking distance to the ocean (and not just Brush Creek)! 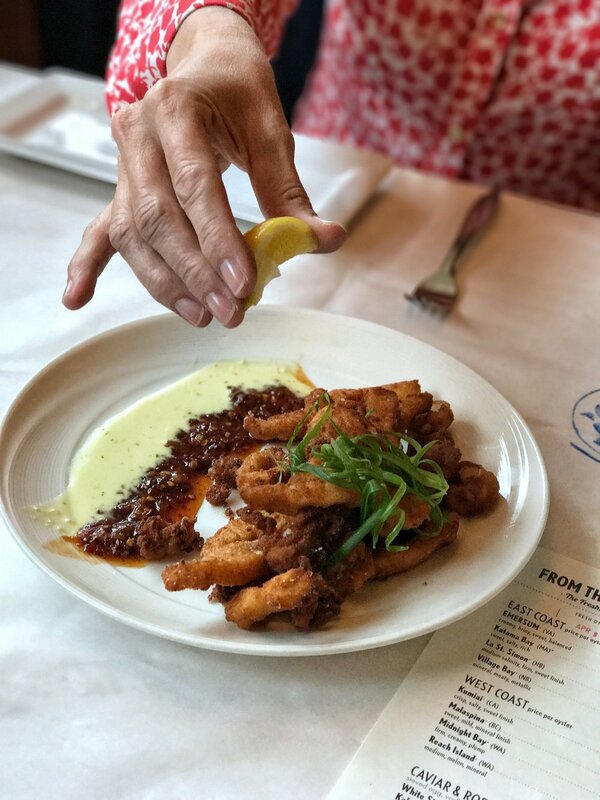 Last Thursday, Jax Kansas City treated my mom and me to a night of amazing food and drinks to celebrate Girls Night Out, the latest promotion at Jax! 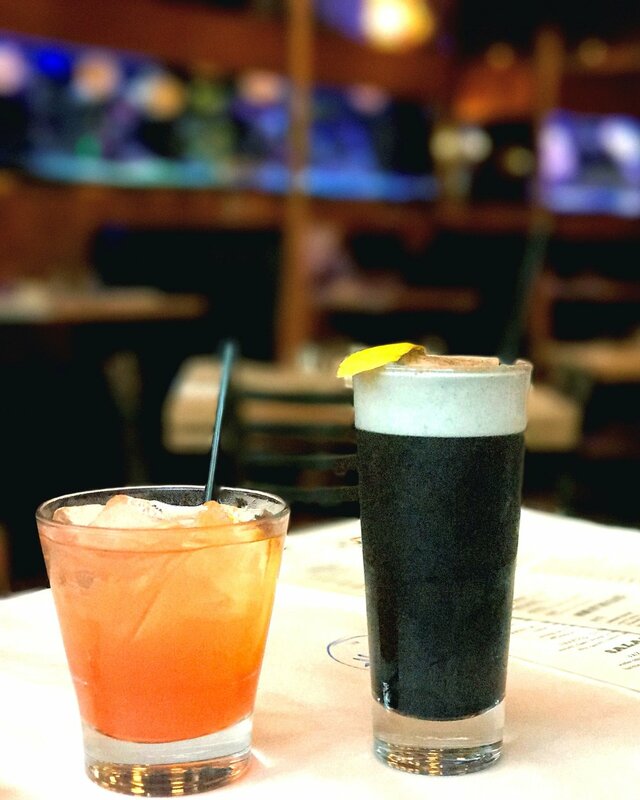 GNO happens every single Thursday from 6-10 and the specials include half price bartender's choice of bottle of wine and half price craft cocktails, call liquor drinks, wines by the glass, and beer. I recommend the Bangkok Fizz (thai chile infused vodka, pineapple syrup, lime and house-made ginger beer) or, for the adventure-seeker, the "From the Deep" cocktail is out of this world! Made with tequila ocho, squid ink tincture, lemon, agave, and egg white, this black-as-night cocktail is a must try. As far as food, there wasn't a single thing we didn't adore (and thanks to our waiter, Jason, we pretty much tried the entire menu). Order a half dozen Emersum Oysters and a cocktail to start and work your way through the menu. 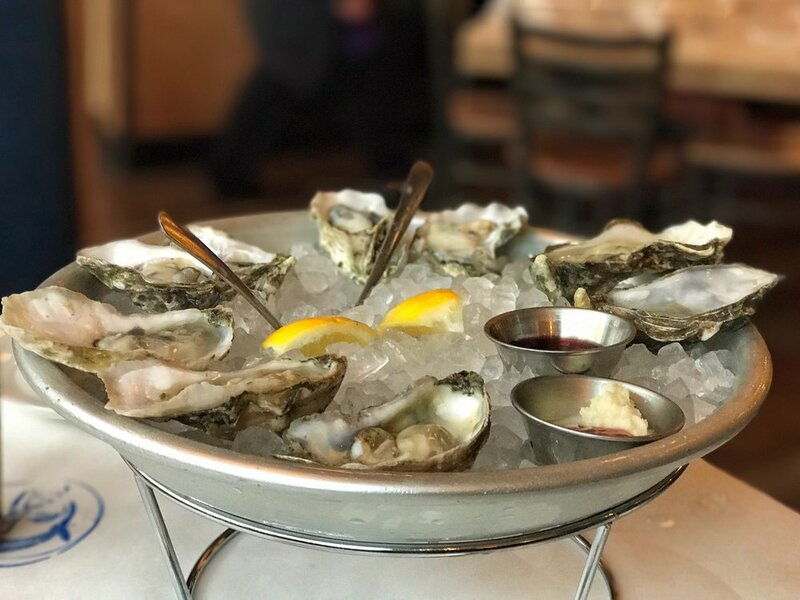 The Emersum Oyster is exclusive to Jax, which means there is absolutely no mystery about the quality, the location, and the environment in which it was raised. If you are new to the oyster world, or if the texture completely turns you off, try their selection of "hot oysters." My mom was convinced she didn't like oysters (without ever trying one) but the fantastic people at Jax were able to talk her into trying a cooked oyster for the first time! My favorite of the three hot oysters on the menu is the "Buffalo Fried Oyster." Fried to perfection and covered in bleu cheese and hot sauce, they distinctly reminded me of Kansas City's best wings (found at the Peanut on Main, FYI). Honestly, the only mistake you can make here is not ordering dessert. Try the coffee & donuts. It is not at all like what you expect and will absolutely blow your mind. The coffee is actually semi-freddo, which has the consistency of ice cream without being frozen, and the donuts are pate a choux fritters (read: funnel cake). And if you are really thinking ahead, order a chocolate chip cookie, or two, to save for later. The cookies are baked previously almost to completion and then finished off for about a minute once the order is placed. The result is a perfectly warm cookie every single time. I am eating mine as we speak and it is totally worth the crumbs in my keyboard. This Thursday, head down to Jax for a Girls Night Out experience you can't find anywhere else. The service is unparalleled and the food is definitely something to write home (or in my case, a blog post) about. This post was sponsored by Jax and all of the delicious food you see above was given to me in exchange for this post. That being said, I wouldn't recommend them if I didn't have a great experience!